The unique challenges of being a small town mechanic in hot and humid Far North Queensland. We’ve all come home from a day’s work, grabbed a cold one, collapsed on the couch and declared: “Toughest day ever!” Well, it’s all relative. 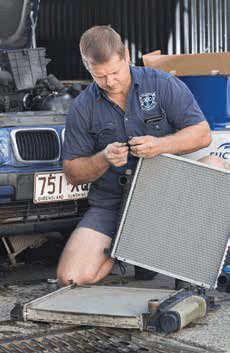 How about being a mechanic in Far North Queensland during summertime? Consider a 12-hour workday, 42-degrees in the shade, 98 per cent humidity and a never-ending stream of locals, holidaymakers and backpackers hoping you can squeeze them in for repairs. Growing up in the small sugar cane town of Mossman, Brendan’s first mechanical exposure was aged 14 during school holidays, helping a mate pull apart lawnmower engines. 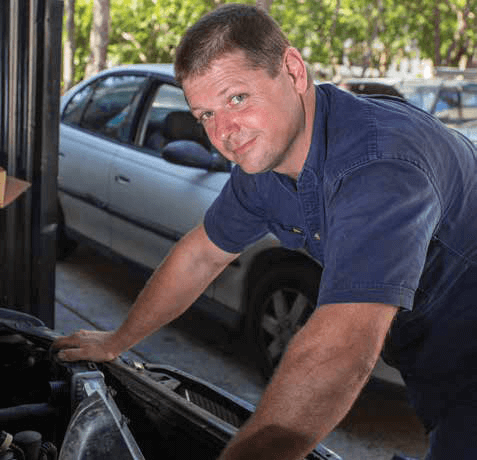 On leaving school he worked for ten years as a mechanic in Mossman, progressing to workshop foreman and then, in 2002, relocating as manager to a sister shop in Port Douglas 20-kilometres away. By 2008 Brendan had bought the shop he still runs as a family business. There are four full-time mechanics including Brendan’s nephew; daughter Katie does one day a week but will be full-time next year, and 14-year-old son Kyle is already proving handy on the tools. During my visit all were working continuously, new jobs were coming in and there was a nice buzz to the place. Plenty of smiles too. The conditions may not be easy at times, but everyone’s still working in paradise. So how does a mechanic’s life differ up here to those in cities? 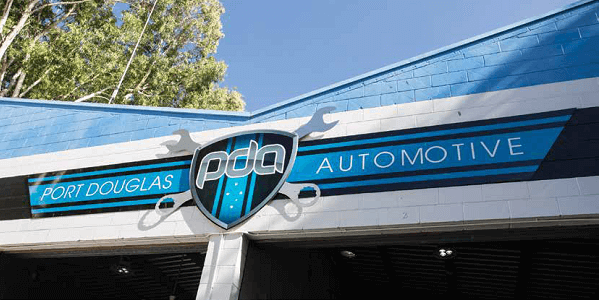 “Parts supply is the biggest challenge,” Brendan said, “and diagnostics, we just don’t have the information that people have down south so we have to figure a lot out for ourselves.